My Serial Book: The first 1,500 are written. Only 48,500 to go. The first 1,500 are written. Only 48,500 to go. By 1:35 this morning, CST, the first 1,500 words of the new novel were down on paper - well, electronic paper, anyway. The two main characters started off their journey together in England and will soon be returning to America. The castles of England, Scotland, and Ireland are impressive, for their architecture, their vibrant histories, and their longevity. Many have, truly, stood the test of time. What many don't realize is that America has her castles, too. Stately homes, some built to resemble those European monoliths, and others more castle-like but with unique architectures all their own. 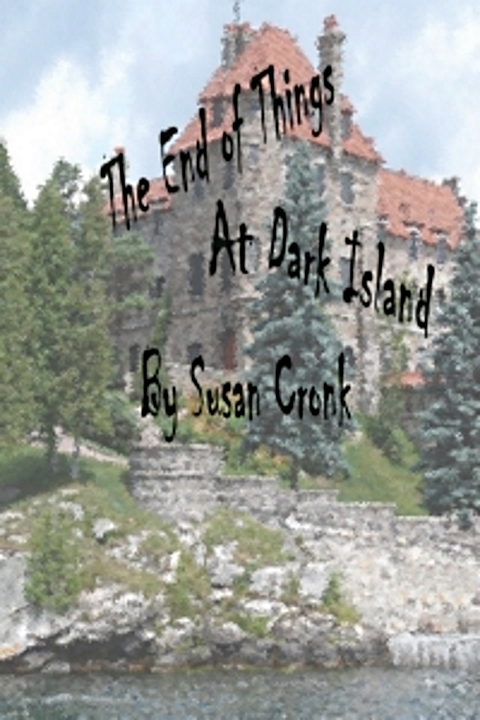 The End Of Things At Dark Island introduces the first in a series of American castles that will be visited by Effie Portchester and her American cousin Howard Mantry. I hope you'll join them on their journey. Effie is packing at the moment . . . let's see, "Spotting glasses, notebook, sharpened pencils, tape measure, pocket knife, a little roll of twine, a pair of tweezers, her nipping shears, and . . . ." Don't worry, Effie will be sure to add a few clothes and a sensible pair of walking shoes.